They were originally bred to control vermin and maintain a tendency to chase small animals, although they are generally sociable with other dogs and children. 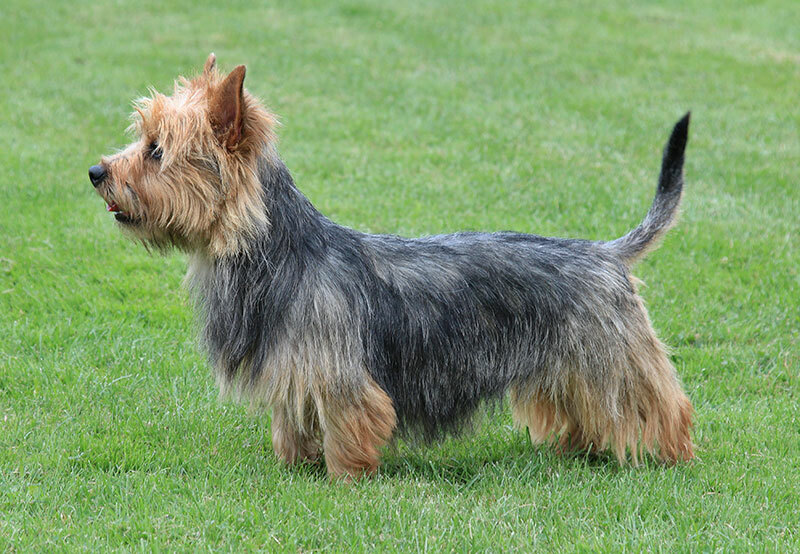 The Australian Terrier is happiest when close to the family and they generally do not enjoy living outside the home. They make excellent companions although their high energy levels may make them unsuitable for some. Firm training from an early age is necessary as with all Terriers. Their affectionate nature and boundless energy will shine through at any opportunity. According to Breed Standards the Australian Terrier should measure approximately 25.5cm to the withers and weigh 6.5kg. A tough breed, the Australian Terrier is free from any serious conditions although attention should be paid to grooming to avoid skin irritation. Letting them off the lead in public places can prove a bit of a headache, they are a self-confident breed and will often follow their own ideas through before considering listening to your calls.